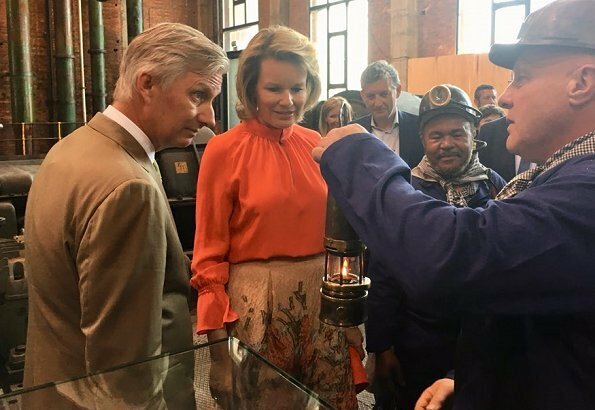 On May 24, 2018, King Philippe of Belgium and Queen Mathilde of Belgium visited province of Limbourg. 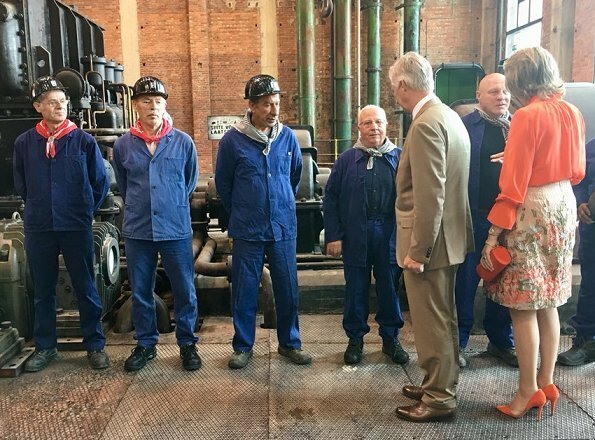 Firstly, the King and the Queen visited the Heusden-Zolder city hall and 'CVO De Verdieping' adult education institution in Heusden-Zolder. 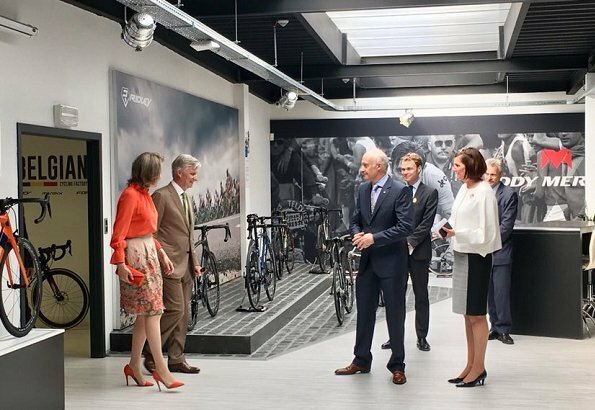 Then, the King and the Queen visited the Global Cycling Center ( Flanders’ Bike Valley). 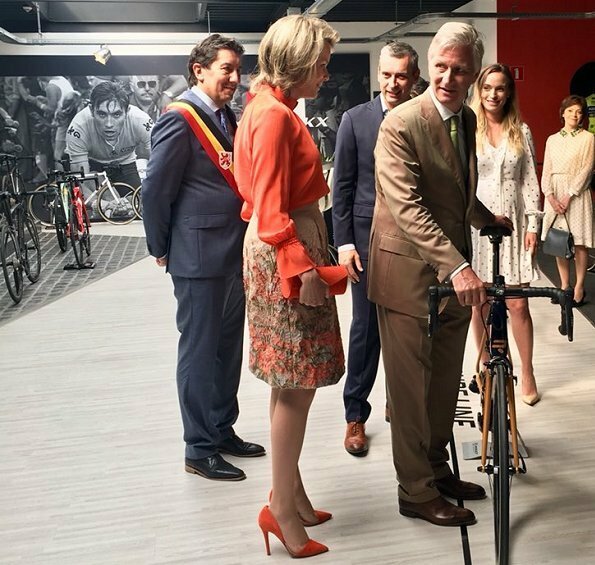 How in the world can Mathilde pedal with high-heeled shoes, and a skirt can't be too comfortable either! She's wearing flats that are the same color as her pumps. that picture of them both pedalling is so french riviera capri -esque vision.. I think she changed into flats as it looks like she had a different shoes when biking. Fun Fun today,wind blown hair bike ride with husband and a big smile.Maybe she thinks catch me if you can. Love the cycling!!!! Queen looks great in the outfit. I love the color of Mathilde's blouse, shoes, and clutch and I love the skirt too. This is a wonderful Outfit. The colours, textures, cut and the wind is blowing her hair in a more becoming way. Nice!!! I wish Mathilde would update her hairstyle. She looks lovely when she takes her hair back. 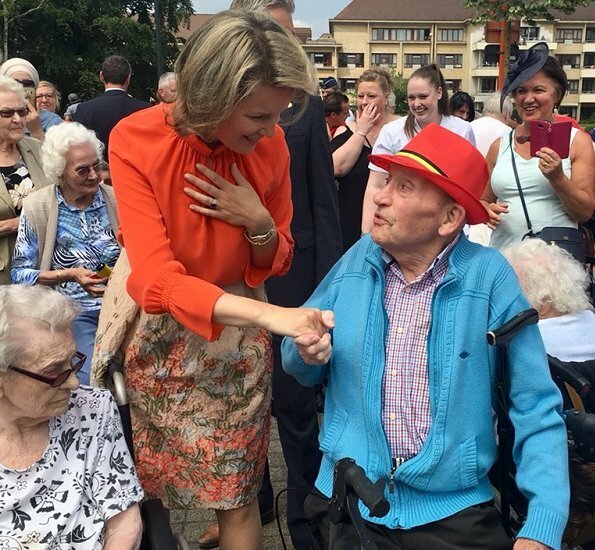 I think she might be like Princess Beatrix and wear the same or very similar hairstyle her entire life.